Throughout the year, industrial trade fairs are taking place in all corners of the world. 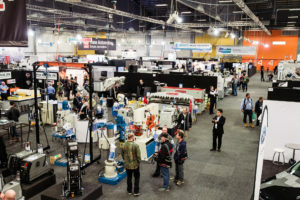 European trade fairs dedicated to industrial sector and manufacturing are fairly well known and popular among industry professionals. However, there is also a developing segment of industrial fairs and events in Asia and Africa. Below you can find the list of upcoming international trade fairs outside of Europe. In 2018, all visitors will get a chance to meet hundreds of industry professional, engineers and technicians not only from Australia and New Zealand. This industrial exhibition takes place from 29.05. to 31.05.2018 in the capital city of Kazakhstan, Almaty. Atakent Exhibition center will be hosting the international event for eleventh time welcoming visitors and exhibitors from different parts of the world. The main goal of the annual event will be to consolidate trade and industrial relations and to present new industrial projects to potential investors. This exhibition is the only one to combine three industrial fields of electrical engineering, power and tool-manufacturing industry with complex automation systems. There is no other event like that in Kazakhstan. Besides, Kazakhstan market has been flourishing in the fields of energy and technology. There are many significant prospects for international producers and investors. Energy, oil and gas sectors, construction industry and infrastructure have been developing promptly in Kazakhstan making it an attractive destination for industry professionals. Manufacturing Expo is Thailand’s largest manufacturing and supporting industries event. Trade fair held in Bangkok, June 20-23,2018 also represents a leading machinery event for industry and manufacturing in ASEAN. Manufacturing Expo serves as a gateway for international partnerships and know-how exchange between Asia and Europe. Several seminars and workshops will be organized during 4 days of the fair. Revolutionary technologies will be presented to audience of visitors and industry experts. In 2017, Manufacturing Expo experienced a significant increase in the number of attendants hosting 79’904 visitors in 4 days. 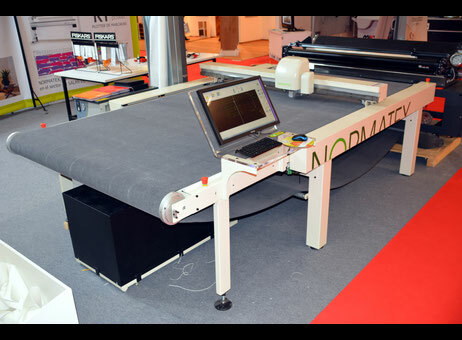 Serving as a complete one-stop exhibition, thousands types of technology were showcased for industry specialists. Apart from company stands, various events and workshops took place within the 4 days of exhibition to support the sense of industrial community. One of a few exhibitions on the African continent: Trade Exhibition on Industrial Products, Equipment and Machinery held in Nairobi, Kenya. The exhibition takes place at KICC – Kenyatta International Conference Centre from the 4th to the 6th of September. The event has been held annually since 1998.
on Indusmach Kenya all industrial sectors will be represented completely so that visitors can experience information exchange with industry professionals. Indusmach is a mega industrial exhibition providing space both for products and technologies, as well as machinery. All businesses taking part will get an opportunity to meet face to face with industrial experts from East Africa along with international visitors.